When you can predict the future, you can take proactive steps to change it. Change the time you send messages to fit each customers’ preference. Match your messaging to a customer’s likelihood of churn to win back disengaged customers before they leave. Our predictions are proven — and always improving as your data sets grow. (Even better than a crystal ball). 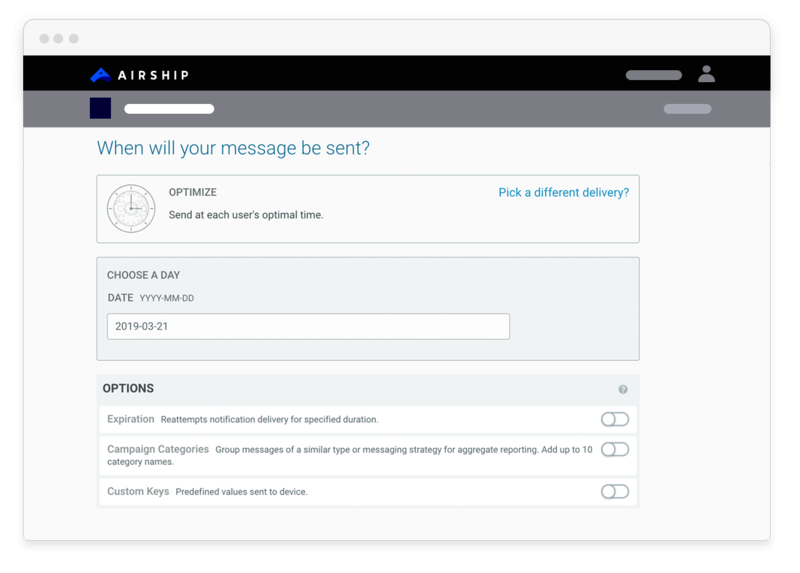 Airship’s Optimal Send Time means you have the user-level intel you need to send messages at the time your customers are most likely to engage with them. Our sophisticated algorithms are based on an individual’s behavior, creating data-driven intelligence that helps you cut through the messaging clutter and boost engagement. 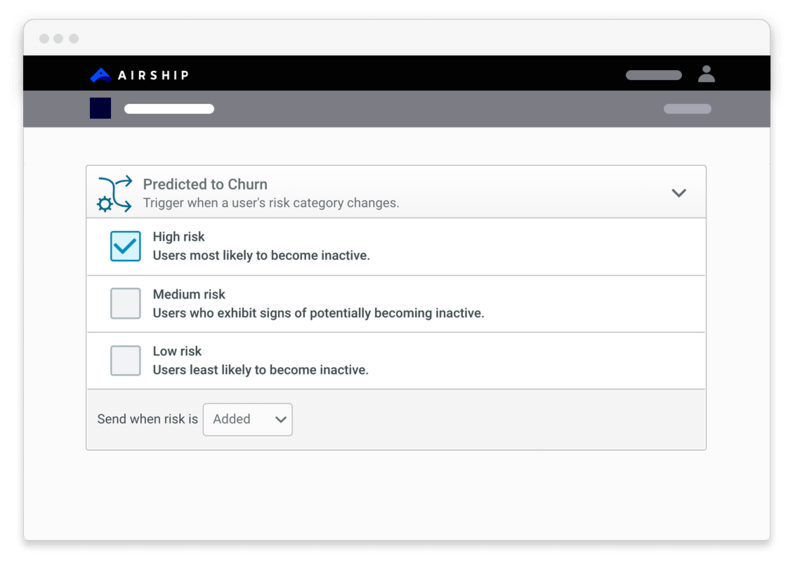 See which customers are at low, medium and high risk of churn with our proven machine learning tool, Predictive Churn, then act on what you know by sending hyper-relevant messages to win-back the customers at risk — and keep your low-risk customers excited and engaged. Use the customer intelligence generated through predictive AI anywhere and everywhere in your multi-channel engagement strategy, at every stage in the customer lifecycle. Whether a customer is regularly active in your app in the wee hours of the morning or in the middle of the afternoon, Optimal Send Time helps you make the most of the moments your customers are already engaged with you. Retain instead of replace: maximize the value of your acquisition spend by sending irresistible offers — on any channel in your stack — to re-engage users who have a high risk of churning, before they’re out the door. Your low-risk customers are among your most loyal — make sure they’re members of your loyalty program, and consider what upsell opportunities they may be most interested in. The number of push notifications a customer receives correlates with how long they stay engaged. Our benchmarks on push notifications influence on customer churn & app retention rates. Get the scoop, and start improving your KPIs today. Get an inside look at how we created our send time optimization machine learning solution.